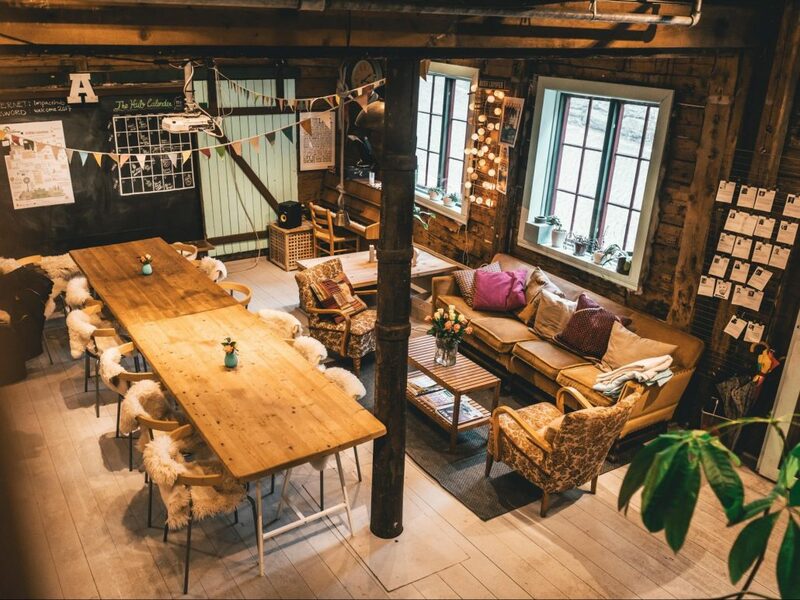 Located in the UNESCO World Heritage site of Bryggen, the wooden walls of Impact Hub Bergen date back to the 18th century, when the Hanseatic League built its offices for the trade of ‘tørrfisk’ (dried fish). Hidden staircases and historic artifacts contrast the colorful furnishing and modern office equipment, providing an inspiring backdrop for social innovation, technology and the realization of ideas. Impact Hub Bergen was an early starter amongst social innovation spaces and joined the global Impact Hub network in 2008. It was founded by Silje Grastveit, an alumni of the renowned Kaospilot programme in Denmark. Silje had a vision for a space that would invite interactions between unlikely allies in the name of creativity and innovation. The coworking space opened its doors in September 2011, as the first of its kind in Norway. Today, Impact Hub Bergen has grown into a community of more than 50 entrepreneurs and changemakers. Kolbrun Retorikk, who specialise in design and communication services for social entrepreneurs. On Fridays, the comforting smell of Norwegian waffles creeps throughout the house. 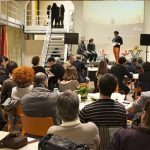 It’s the day of the weekly “Waffle Pitch” – a local take on the classic “Falafel Pitch” hosted by many Impact Hubs around the globe. For this event, a member gives a brief pitch of their business or a specific challenge they are working on, and receives feedback and questions from the audience. 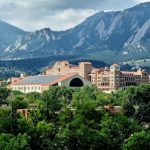 This sparks exciting discussions around sustainability topics, and – every so often – new collaborations. Now that spring has reached Bergen, the community is engaging in an urban gardening project and beach clean-ups. 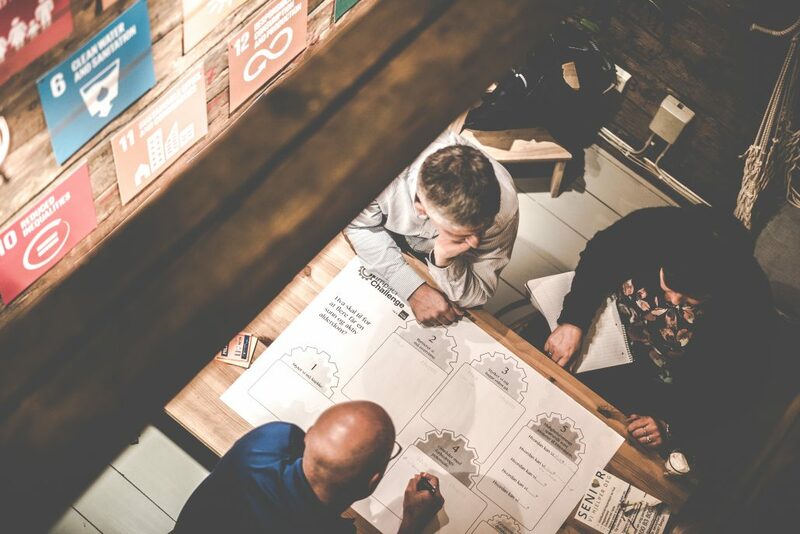 Apart from supporting social entrepreneurs in the realization of their businesses, Impact Hub Bergen also uses social entrepreneurship as a tool to empower and include marginalized groups in Bergen. Their programs include STEP, a social entrepreneurship training program for immigrants; Gründermatch, where unemployed individuals are matched with start-ups; educational programs for high school and university students about sustainable innovation; and Impact Challenge, an innovation program that brings together different actors to generate realizable solutions for pressing social issues. To top it off, the recent Test Kitchen initiative for food entrepreneurs works as a springboard for immigrant women starting their own businesses in the catering industry. Impact Hub Bergen’s largest program, Impact Challenge, is now in its second round. It brings together different actors across sectors to generate new, realizable ideas for social challenges. The program guides over 50 participants from idea to incubation, and is supported by Kavlifondet, Bergen Municipality, Hordaland County and Sparebanken Vest. Last year’s theme was age-friendly societies and led several successful ventures through the incubation process; including Leseplaneten, Pitstop and HelpKit by Mecu. The program focus this year is mental health, with an emphasis on children and youth, support systems, and employee wellbeing. This year’s iteration of the program is currently underway, with a group of 50 highly engaged participants and a series of inspiring talks, workshops and mentoring sessions with experts, healthcare professionals, affected individuals and their families, and organizations already making a difference in the field. 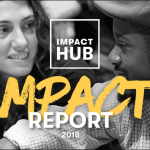 Tune in to Impact Hub Bergen’s #ImpactOnTour takeover of the Impact Hub Global Facebook and Instagram channels from the 23rd – 26th of April for a sneak peak into their unique location, community events, and impactful programs. 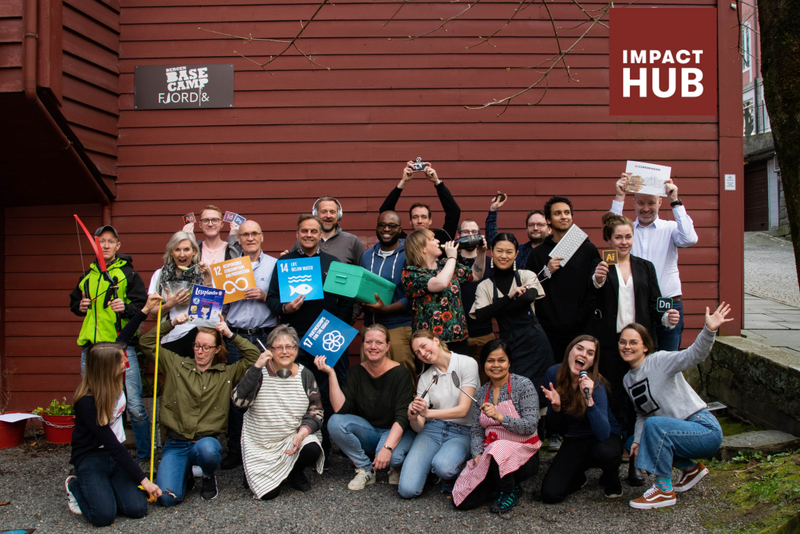 You can find out more about Impact Hub Bergen at bergen.impacthub.net, or follow them on Facebook and Instagram (@impacthubber).